UET Taxila Jobs 2018 are listed below in our site - Jobs In Pakistan.xyz. 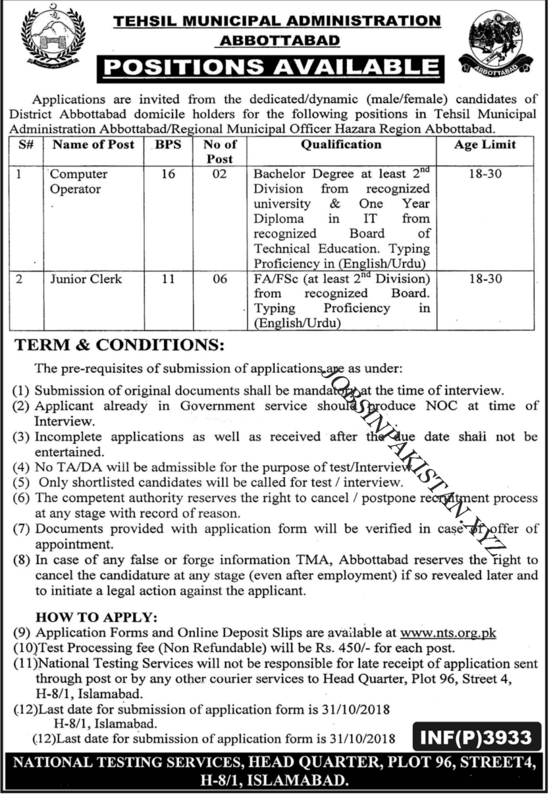 The advertisement for UET Taxila Jobs 2018 comes on the newspaper of 16 October 2018. The last date for submitting for application forms for Jobs in University of Engineering and Technology Taxila is 31 October 2018. Original documents will be required at the time of test and interviews in University of Engineering and Technology Taxila. Incomplete applications will not be accepted for Jobs in UET. University of Engineering and Technology Taxila has required the applications for following jobs.